Tonight London is throwing a party to see out the old year and welcome in the new. Big Ben will chime for 15 minutes and a fireworks display will announce 2009. Thank you all for your visits and comments in 2008. I wish you and those close to you the very best for 2009. Happy New Year!! I have so enjoyed your site this past year and can't wait to see what you have in store for the next. I wish I could be there for the big celebration. 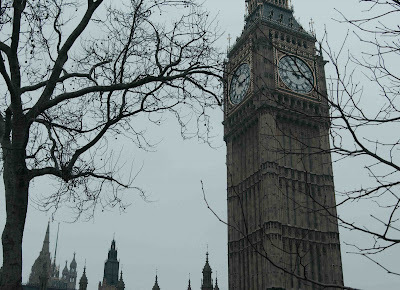 Hey, I love London so much, I wish I could live there. A toast to you and all the work you do for your CDP - Happy New Year! Happy New Year to you, Mo! Thank you for your friendship during the year. Must be a spectacular event to see and hear in beautiful London! Mo, hope you had a great time seeing in the New Year; best wishes for a great time in 2009! Happy New Year Mo! Hope 2009 is good to you. Thanks for all your comments at Cheltenham DP in 2008. I saw the fireworks in London on tv and they were amazing! Your fresh eyes was one of my best finds this year. You have shown London in a new light which is not an easy thing to do. Thanks for the support you have given to me and more so to Gary who to me is the real artist in the household. He has been asleep all day and he's supposed to be a cartoon for the Daily Star on Sunday today. Too much mulled wine! All the best for 2009.